Program Report Sheet: Thank you for taking a few minutes to complete this form each time you run a SciGirls program. 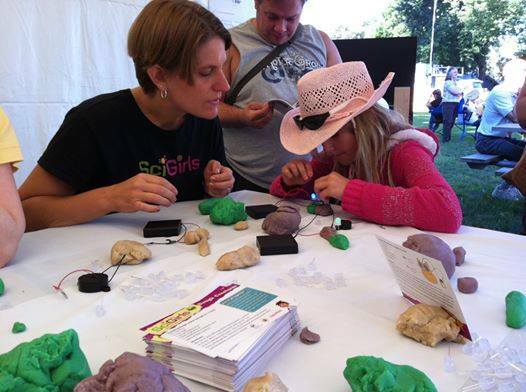 We appreciate your helping us to capture how you are using the SciGirls resources with the audiences you are serving. SciGirls is able to offer free professional development opportunities and research-based, high quality resources due to the generous support from the National Science Foundation. In return, we ask that you partner with us to help continue funding for these initiatives by filling out the following evaluation. Once you complete the Program Report Sheet, you will receive a FREE SciGirls t-shirt! Send your preferred t-shirt size and style (women’s or unisex) to [email protected]. REMINDER: You will need to provide information on the background and demographics of the youth participants in your program. Please make sure you have this information handy so you can complete this form in one sitting. If you have any questions about this form, please contact SciGirls Sr. Outreach Coordinator, Niki Becker at [email protected]. Link to online form here.